What is a message button? A message button does not notify an employee contact. It will only display a message to your visitor. Usually this is used when you just need to display instructions only and don't need someone to check in. For example, "All interviews go down the hall and to the right to room 213." or "Today's sales meeting will be in room 509." 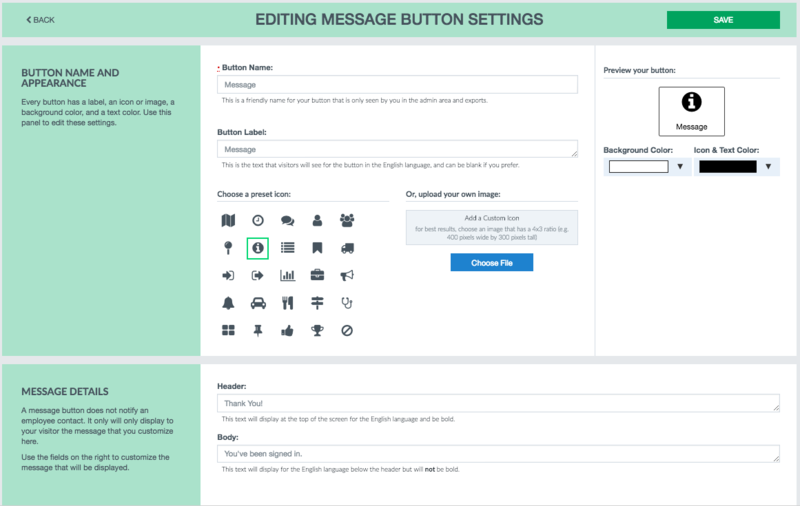 The set up for a message button is just like our other buttons, but for the bottom section which allows you to enter a Header and Message text for your button.